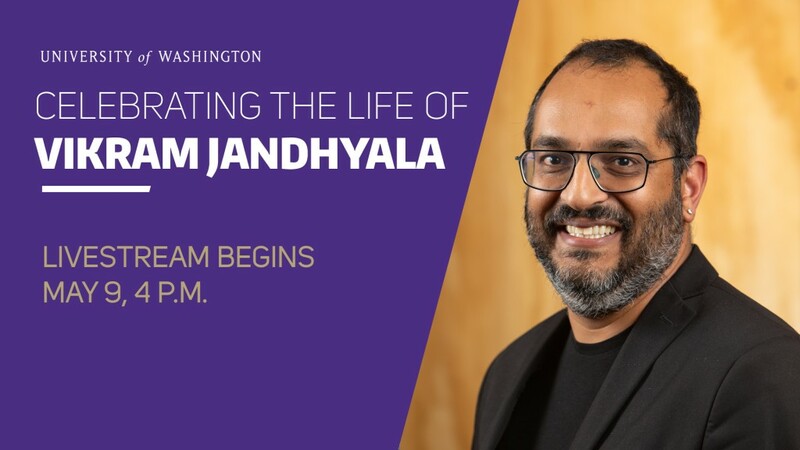 On May 9, we’ll come together as a community to celebrate the life and impact of Vikram Jandhyala. Vikram was so many things: a scholar and innovator, mentor and entrepreneur, friend and colleague, son and father. I hope you’ll join me in remembering this remarkable man and his many contributions to our University, region and world. Complimentary parking is available beginning at 3 p.m. in the Central Plaza Garage at 15th Ave. NE and NE 41st St.
To request disability accommodations, contact the Disability Services Office at least 10 days in advance at 206-543-6450, 206-543-6452 (TTY), 206-685-7264 (fax) or dso@uw.edu. Please contact rsvp@uw.edu with questions.